Dr. Chang-Er Chen got his first degree of Bachelor in Environmental Science from Northwest A&F University, China in 2006. 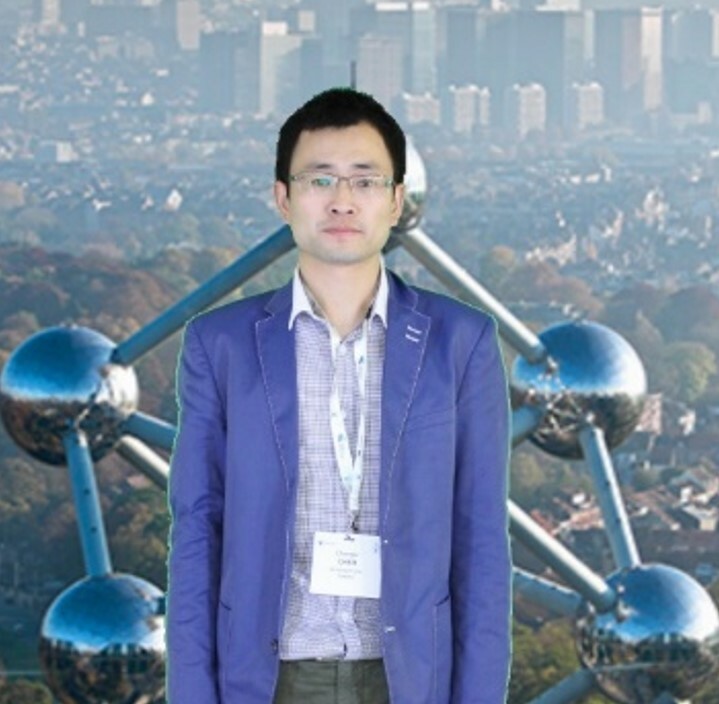 After that, he studied Environmental Science at Dalian University of Technology (DUT), China and obtained his Master degree (MSc) after three years’ work on persistent organic pollutants (POPs) in the environment and human in 2009. Then he moved to the U.K. and received his Doctorate in Environmental Science from Lancaster University, in 2014, mainly worked on development and applications of passive water samplers for polar organic contaminants (POCs) particularly for pharmaceuticals and personal care products (PPCPs). Between 2016 and 2018 he worked at Stockholm University, Sweden as a post-doctoral researcher, working on bioaccumulation study of mixture organic chemicals. From November 2017, he is appointed as a research Professor @ South China Normal University, Guangzhou, China. Chemicals Risk Assessment, management and regulation. 2. Qin Peng, Mengke Wang, Zewei Cui, Jie Huang, Changer Chen, Lu Guo, Dongli Liang. Assessment of Bioavailability of Selenium in Different Plant-Soil Systems by Diffusive Gradients in Thin-films (DGT). Environmental Pollution, 2017, 225, 637-643. 3. Wei Chen, Huanfang Huang, Chang-Er Chen, Shihua Qi, Oliver R. Price, Hao Zhang, Kevin C. Jones and Andrew J. Sweetman. Simultaneous determination of 20 trace organic chemicals in waters by solid-phase extraction (SPE) with triple-quadrupole mass spectrometer (QqQ-MS) and hybrid quadrupole Orbitrap high resolution MS (Q-Orbitrap-HRMS). Chemosphere, 2016, 163, 99-107. 4. Linke Ge, Jun Li, Guangshui Na, Chang-Er Chen, Cheng Huo, Peng Zhang and Ziwei Yao. Photochemical degradation of hydroxy PAHs in ice: Implications for the polar areas. Chemosphere, ­2016, 155, 375-379. 5. Linke Ge, Guangshui Na, Chang-Er Chen, Jun Li, Maowei Ju, Ying Wang, Kai Li, Peng Zhang and Ziwei Yao. Aqueous photochemical degradation of hydroxylated PAHs: Kinetics, pathways, and multivariate effects of main water constituents. Science of The Total Environment, ­2016, 547, 166-172. 6. Chang-Er Chen, Hao Zhang, Guang-Guo Ying, Li-Jun Zhou and Kevin C Jones. Passive Sampling: A cost-effective method of understanding antibiotic fate, behaviour and impact. Environment International, 2015, 85, 284-291. 8. Chang-Er Chen, Wei Chen, Guang-Guo Ying, Kevin C Jones and Hao Zhang. In situ measurement of solution concentrations and fluxes of sulfonamides and trimethoprim antibiotics in soils using o-DGT. Talanta, 2015, 132, 902-908. 9. Chang-Er Chen, Kevin C Jones, Guang-Guo Ying and Hao Zhang. Desorption Kinetics of Sulfonamide and Trimethoprim Antibiotics in Soils Assessed with Diffusive Gradients in Thin-Films. Environmental Science & Technology, 2014, 48(10), 5530-5536. 10. Chang-Er Chen, Hao Zhang, Guang-Guo Ying and Kevin C Jones. Evidence and Recommendations to Support the Use of a Novel Passive Water Sampler to Quantify Antibiotics in Wastewaters. Environmental Science & Technology, 2013, 47, 13587-13593. 11. Joyce Cristale, Athanasios Katsoyiannis, Chang'er Chen, Kevin C Jones, and Silvia Lacorte. Assessment of flame retardants in river water using a ceramic dosimeter passive sampler. Environmental pollution, 2013, 172, 163-169. 12. Chang-Er Chen, Hao Zhang and Kevin C. Jones. A Novel Passive Water Sampler for in situ sampling of antibiotics, Journal of Environmental Monitoring, 2012, 14, 1523-1530. (Front Cover page and HOT paper in ESPI: http://blogs.rsc.org/em/2012/05/23/latest-hot-articles-on-passive-water-sampling-of-antibiotics-and-the-recovery-of-sulfate-saturated-soils-in-the-plynlimon-catchments/). 13. Chang-Er Chen, Hongxia Zhao, Jingwen Chen, Xianliang Qiao, Qing Xie, Yifei Zhang. Polybrominated diphenyl ethers in soils of the modern Yellow River Delta, China: occurrence, distribution and inventory. Chemosphere. 2012, 88(7), 791-797. 14. Chang-Er Chen, Jingwen Chen, Hongxia Zhao, Qing Xie, Zhiqun Yin, Linke Ge. Levels and patterns of polybrominated diphenyl ethers in children’s plasmas from Dalian, China. Environmental International, 2010, 36, 163-167. 15. Qing Xie, Jingwen Chen, Jianping Shao, Chang-Er Chen, Hongxia Zhao, Ce Hao. Important role of reaction field in the photodegradation of deca-bromodiphenyl ether: theoretical and experimental investigations of solvent effects. Chemosphere, 2009, 76(11), 1486-1490. 16. Chang-Er Chen, Hongxia Zhao, Qing Xie and Jingwen Chen. Ultrasonic-assisted extraction and gas chromatography-negative chemical ionization-mass spectrometry for the determination of polybrominated diphenyl ethers in pine needles. Chinese Journal of Chromatography (è‰²è°±), 2009, 27(1), 59-62. (In Chinese).